When considering buying a new air conditioning system, it's important to understand all the factors that affect performance and efficiency. 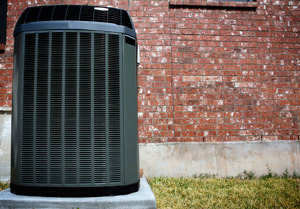 Not every system is right for every home, which is why Pelletier Mechanical Services, LLC is here to help you choose the right AC system for your needs. When you call us for air conditioning installation or replacement, we'll go over factors such as sizing, efficiency ratings, and your current ductwork system to help find the best AC system for you. Call us today for a free estimate on any of air conditioning services in Litchfield, Waterbury, Bristol, Torrington, and the nearby areas! Each air conditioner has an energy-efficiency rating that lists how many BTUs per hour are removed for each watt of power it draws. For room air conditioners, this efficiency rating is the Energy Efficiency Ratio or EER. For central air conditioners, it is the Seasonal Energy Efficiency Ratio or SEER. ENERGY STAR labeled appliances have high EER and SEER ratings. If you're ready to install a new air conditioning system in your home, the experts at Pelletier Mechanical Services, LLC are here to help. We will evaluate your home and recommend the best air conditioning system for your needs. Call us today at 1-844-329-2725 or contact us online to get started with a free estimate! We offer all our air conditioning services in Litchfield, Waterbury, Bristol, Torrington, Watertown, Prospect, Naugatuck, Southington, Cheshire, Wolcott, Plymouth, and throughout the surrounding areas.